I've had teaching on the brain since mid-July. I'm just as ready to get back to school next month as I was to get out in May. Even though this is my third year teaching I'm always looking for new ideas to make the year go more smoothly. I've been Pinning all summer and digging around for teaching blogs with cool classroom organization ideas. It seems like the majority of them, though, have been for elementary education. Those elementary educators really get into it, and I would love to see more blogs by high school teachers! One common element I've seen on many teacher blogs is the binder/teacher organization tool/daily organization tool/sanity saver. I've taken lots of different ideas, adjusted them to my personal needs, and created my own sanity saver that I'd like to share with you. These ten dividers are the things that are most necessary to make my day run smoothly. Calendar - I created my own calendar template because I'm like that. Yes, I could have definitely found a free printable online or cut apart one of those free calendars that show up in the mail sometimes. However, I wanted some customizations, so I took a little extra time to create my own template. Each week lists the quarter of the grading period and the week number to help me keep track of progress reports, Common Formative Assessments, etc. I added the First Student Day on the 8th and throughout the calendar I've marking important school calendar items (end of grading period, winter and spring break, make-up snow days, etc.). Oh, and Adam's birthday is coming up! That's important too. Lesson Plans - Another personal creation is my lesson plan template. I've never found a plan book that I've liked because they just never seem to fit with my scheduling and I always give up using them by October. I'm hoping my customized planner will help with that. In addition, I also have a copy of the typed set of plans that I post in my classroom and on my classroom website (more on that one later)! My lesson plans have space for meeting dates, the unit names, important dates, a to-do list, reminders, and there is a bulleted list at the bottom of each day's column that I'm using to keep track of the materials I need to have prepared for that day. So far, this has been very handy! These are my typed up daily plans I post on the class website and in my classroom for all to see. Student Attendance - Again, I created my own attendance templates because I'm whiny and I really hate the attendance books I've found elsewhere! This one has enough room for those extra large class sizes. It's also set up so I only have to write student names once (in the column on the left). An attendance book that actually works for high school! Gradebook - You're never going to believe this, but I actually made my own gradebook template (*sarcasm*). This was a huge goal for me. In the ever-evolving world of public education, it has now become very important to know exactly how each student is doing in every single aspect of the classroom. We have electronic gradebooks, which will be broken up into vocabulary, reading comprehension, writing, grammar, and listening/speaking to help us identify the areas in which students are struggling. I've divided my paper gradebook into three sections: tests, quizzes, and homework. My hope is that this will help me target which activities that are worth points are having the biggest impact (positive or negative) on each student's grade. The column on the left has a numbered list (up to twenty-five) for homework assignments where I can write the date, assignment title, and notes on the assignment. There is a corresponding numbered column on the right where I can write the score. No more cramming assignment titles into the margins at the top of the page! These rest of the sections are pretty basic and I don't have any terribly photography to accompany them. Student Data - This is the area where I will record students' pretest and post test scores on our quarterly Common Formative Assessments. This is also where I will stash my IEP and 504 information on students. Standards - We're moving to Common Core standards this year. English 9 and 10 (my subjects) share Common Core standards. In English 9H I have Power Standards which are the priority standards I'll be teaching each quarter. Meeting Notes - All meeting notes will go here. PLCs, staff meetings, department meetings, you name it. Parent Contact Log - This year we are required to contact every parent at least once. This will help me track those emails, phone calls, and conferences. Freshmen Class Info - I'm the Freshmen Class Sponsor which actually requires a considerable amount of work. Ta da! No more floating competition rules and canned food drive numbers. Drama Club - This one might have to go into its own binder. I feel like there won't be enough room in my D.O.T for everything that's going to go in A Christmas Carol this year. So there it is... my high school English teacher version of a sanity saver. Hopefully it will inspire you to create your own version of a sanity saver, or to consider your current organization methods, or just to hug a high school teacher because there are a lot of blood, sweat, and tears that go into keeping a day that involves 170 teenagers somewhat organized. *UPDATE: If you are interested in any of my templates, you can find them by scrolling up to the top of this website and clicking the tab that says "Free Templates For You!" This will take you to my Box.com account where you can download my black and white templates FOR FREE! If you're looking to add a little color to your life, stop by my Teachers Pay Teachers store and browse around! 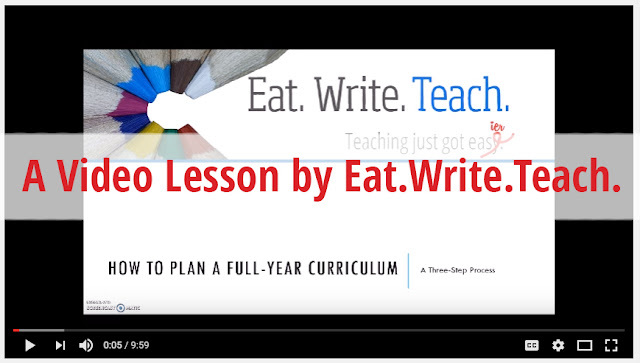 You can contact me via the comments below or email me at stephanie(at)eatwriteteach(dot)com for more information! UPDATE (07/26/2015) - Since I wrote this post three years ago, it has been viewed 77,998 times! That just blows my mind! I really hope it has been helpful to all of those who have stopped by to take a look. My own Sanity Saver has evolved quite a bit in the last three years. If you would like to see what it looks like nowadays, just click here! Like what you've read so far? Come back Monday for Back to School for the High School Teacher Part 2: A Classroom Website for the Super Busy Teacher.